While growing up, Forrest Li used to spend most nights playing videogames at an Internet cafe. Today, at the age of 41, he’s the founder of Singapore’s tech unicorn, Sea, which owns gaming service Garena where over 40 million players log on each day to battle with each other. Besides that, the China-born entrepreneur is the latest person to join the world’s billionaires list thanks to a 13.8 per cent stake worth around US$1 billion (S$1.3 billion), according to the Bloomberg Billionaires Index. 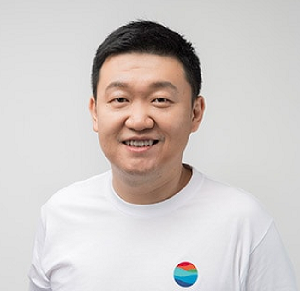 Last year, Sea had witnessed a net loss of $961 million, but investors believe that the company’s decision to expand into e-commerce (Sea owns e-commerce site Shopee) will help boost revenue of Garena. The company has Chinese giant Tencent as one of its shareholders. Sea recently announced the closing of its previously announced offering of 60,000,000 American Depositary Shares (ADSs), each representing one Class A ordinary share of the Company, at US$22.50 per ADS. In response to strong investor demand, the offering size was increased from an initial 50,000,000 ADSs as announced when the company launched the deal. Its mobile game Free Fire is the prime reason for Li’s success. It has more than 350 million registered users across the world and was the world’s fourth most-downloaded game on the Apple and Google app stores last year. Last year, Li’s net worth was S$738 million, which helped him grab the 42nd spot on Forbes’ Singapore’s 50 Richest People list. Born and raised in the port city of Tianjin as Li Xiaodong, he adopted “Forrest” after his American lecturer asked him to come up with a Western name. He was inspired by Tom Hank’s Oscar-winning portrayal of the fictional big-hearted character Forrest Gump. Li earned a degree in engineering from Shanghai Jiaotong University in China. After graduation, he worked at Motorola Solutions Inc. and Corning Inc. in his home country, but saw a limited future as a white-collar manager and enrolled in Stanford Graduate School of Business’ MBA program. Four years later, he founded Sea, then called Garena.